Yesterday 12-September-2015 I have compiled MetroFramework Modern UI Version 1.3.5 which include bug fixes and additional functionality that will help you with the development of your Modern UI projects. 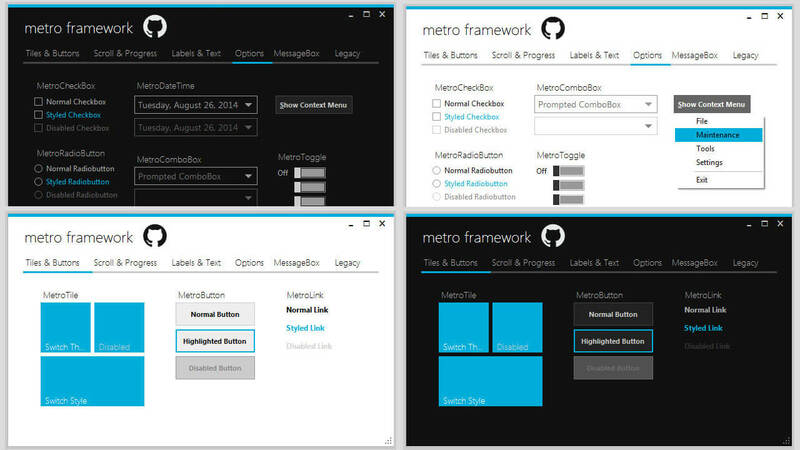 I will list down all the updates that is included in MetroFramework Modern UI Version 1.3.5. Fixed issue when displaying icon, (image being stretch). Add function to show MetroTextBox with error. Add functionality to add image. Liked it? Take a second to support denricdenise on Patreon!